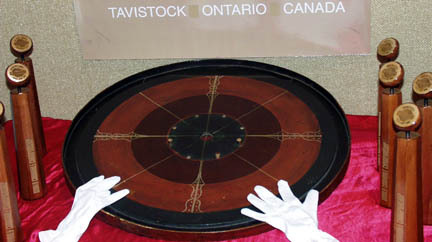 Each year, on the first Saturday in June, the National Crokinole Association (Canada) begins the new tour season with the World Crokinole Championships in Tavistock, Ontario. Players from around the world travel to compete for bragging rights and cash prizes ($1,000 CAD for the first place singles winner). 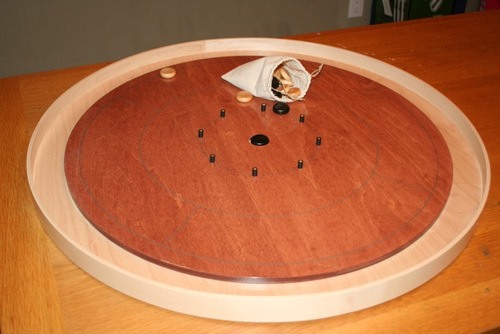 The top contenders are well known in the Crokinole community and their continued success demonstrates the degree to which crokinole is a game of skill. This year, there were a couple of special occurrences. First, John Conrad became the first competitor to win in both the singles and doubles brackets during the same tournament. This was his first singles championship. Its my understanding that John is one of the long time backbones of the crokinole community with significant involvement in the local club scene as well as the NCA tour and championship itself. Justin Slater, the 2010 WCC Champion and 2012 runner-up, set a new record in the 20's competition. Competitors keep track of the count of 20's the make in the preliminary rounds (8 x 40 games= 320 shots). The count for the last dozen years has been between 86-108 20's. Justin tallied 142 20's or 44% of his shots during competitive play. Its quite amazing, I hope to get some commentary from some of the players that at the tournament to comment on both Justin's skill and if there were situational factors that contributed to such a blowout. Justin appears to be the poster child, along with the likes of Nathan Walsh, of the next generation of dominant crokinole players. I'm amazed and thankful for those participants that shared tweets, blogs and especially video and photograph from Tavistock this weekend. As the game becomes more popular, it exciting to experience the community from a far. I'm looking forward to making the pilgramage myself in the coming years, I'll have to enlist some family or friends to come with me. The World Crokinole Championships are an all day event. Doubles categories starts by 8:30am. Singles categories are held in the afternoon and evening. My son, Kieran, and I entered the recreational doubles category. Simultaneously, the competitive category and the cues category held their tournaments. 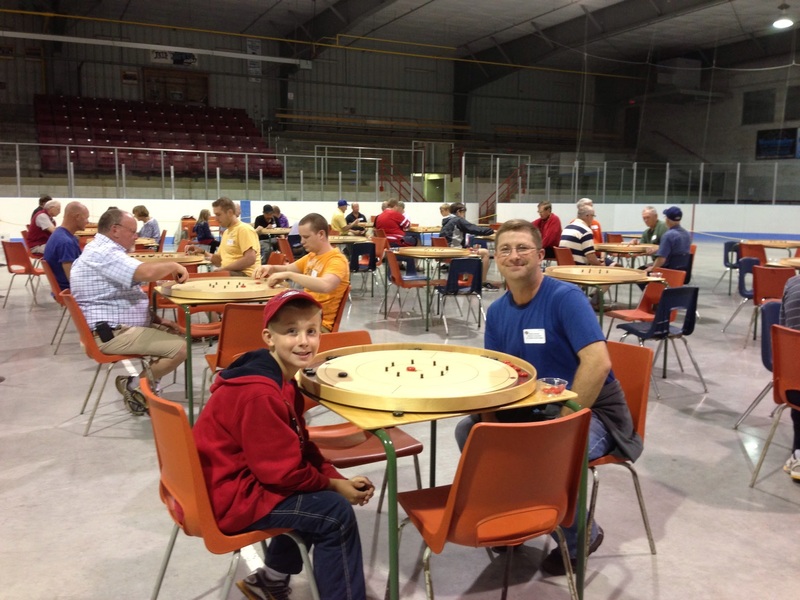 This past June, I found a reason to repeat what might have been a once-just-to-do-it trip to Tavistock, ON for the World Crokinole Championships: I was able to convince my brother and my father to join Kieran and I. What a great time. While playing cards with my family this morning, I saw the mailman pull up out front for an apparent second delivery. With my birthday coming up soon, I wondered what may have arrived from Amazon.com or similar online store. to view a stream of Board photographs that I've started to collect. Please sign up, and "join" my shake to contribute your own Crokinole photos. 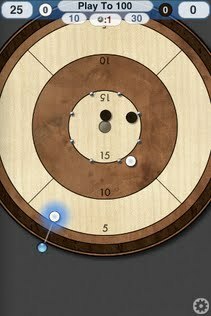 Nathan Walsh, a ranked Crokinole player, just started a new blog called CrokinoleCentre with a post recapping the results of the 2012 London Crokinole tournament. Nathan is also a prolific poster of crokinole videos on youtube, you should check out his channel. Since discovering the game, and reading everything I can find online, and ordering my own board. It became obvious that I ought to experience the game in some form. 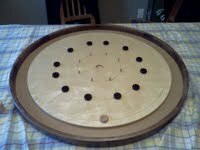 Erik and his wife, Lisa, have started the Choner Crokinole Championship 3 years ago in their Queens County, NY home. T-Shirts, participant giveaways and even an engraved chalice belied the fact that this event started with 10 friends and friendly games. 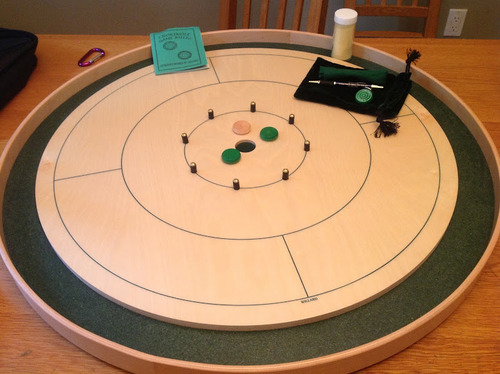 Clockwork Crokinole hit the internet this past week. It appears to have been developed by Evan Smith of Nova Scotia, CA (as "Mud Puddle Games") based on GarageGames Torque2D engine. The first board I ordered arrived from Nova Scotia today. Sue shipped the board only 6 days ago, not bad for international postal service. 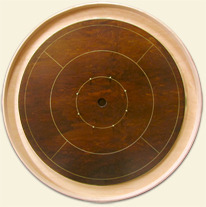 Crokinole is a game with unique culture that naturally brings people together. I was reminded of this while playing doubles with my brother, son and father-in-law over the weekend. As "long-time" readers of KnipsBrat may remember, I (re)discovered Crokinole by way of Penny Arcade. They held their east coast exposition Apr 6-8, 2012 in Boston. Armed with an iPhone and tripod mount, my brother and I put on a live demonstration of crokinole for our parents. Setup my new crokinole board on a 32" inch table in the family room for the long weekend. 2 person games, 4 person games, adult games, and kid games. While I wouldn't call it an obsession, it got plenty of play from both my family and our hosts. So I received my copy of "Crokinole", the movie from Crokinole Depot along with Joe Fulop's book, "It's Only Crokinole, But I Like It." In the few times that I haven't had a partner since receiving my board. I figure I want to practice and develop my skills. A clean solitaire game has emerged. 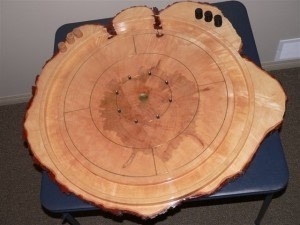 Long time readers of Knipsbrat will recognize "Crokinole Clif" as the maker of Clif's board. Over at BoardGameGeek, there's been a flurry of discussion surrounding Mayday Games, Deniath and Kickstarter. 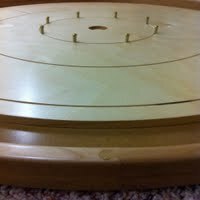 Between Christmas 2011 and New Year's Day 2012, I happened to (re)discover Crokinole while browsing the internet. 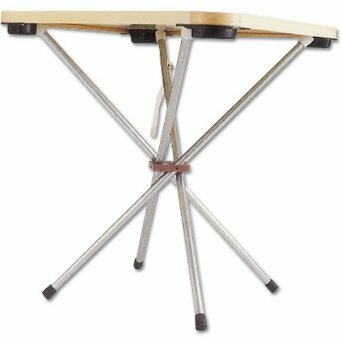 After quickly finding myself perusing the forum's at BoardGameGeek.com, I was bewitched by this game and the boards on which it was played. Not surprisingly, I've enjoyed watching videos on YouTube of crokinole tournament highlights and especially the final's matches: definitely check out Nathan Walsh's series. Along with the DVD, "Crokinole", I received a copy of Joe Fulop's "book." While he clearly put time into the text, it's a comb-bound book reminiscent of a high school term paper. Having actually been playing the game for a couple of weeks, allow me to share some of the joys I've discovered. Just in case you think crokinole is just a quaint game for rural Canadians, check out Nathan Walsh's analysis of this season's standings. The NCA (National Crokinole Association) Tour begins the first Saturday of each June with the World Crokinole Championships in Tavistock, ON. Today is the tour finale with the St. Jacob's tournament as previously mentioned on this blog. 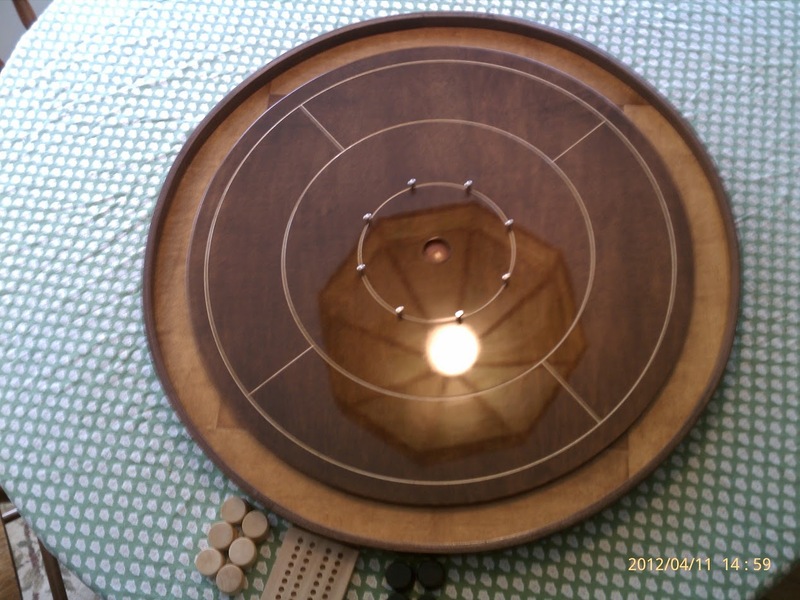 During my research on Crokinole craftsman, I had come across a few photographs of boards made by "Allinent." One of the side effects of ordering a handcrafted item, is waiting for it to be handcrafted and delivered. Murphy's Law held true as my board arrived Thursday when out of town and couldn't play with it. The next day, flight delays continued to separate me from my obsession. Today is my father's birthday. I imagine he's been watching my recent crokinole obsession with both curiosity and a bit of familiarity. Obsessive hobbies run in the family. Having found some inconsistencies with my first set of discs and significant impact on the speed of the board. I ventured out of my house to find some pure carnuba paste wax. 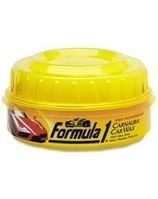 Boardgamegreek and other crokinole forum's highly recommend "Mothers pure carnuba wax." 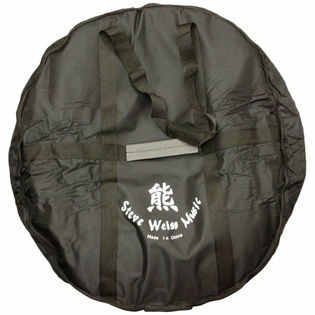 I first read about using gong bags as carrying cases for crokinole boards over at BoardGameGeek. There's a German seller mentioned, but clearly importing wasn't something I was interested in.